Movement: Using movement to filter out extraneous sensory information is an excellent sensory strategy. Movement helps to calm, regulated, organize and orient the nervous system. Having a ball chair, wiggle cushions, or a balance board in your room can really make a difference in the ability to focus. You can use ball chairs during your specific therapies, while seated at a desk, and balance cushions can be placed on a chair or the floor. Some individuals prefer to stand and a balance board is ideal for those who need to move and stand. Fidgets: Encouraging kids to move (without disturbing others) can make such a huge impact on their day. Fidget tools are perfect for those situations. Keep a few fidget toys at your fingertips. Using putty, desk fidgets, foot fidgets or gel tools can encourage kids to move their hands. By using a fidget tool, individuals can also strengthen their intrinsic hand muscles and reduce stress as well. 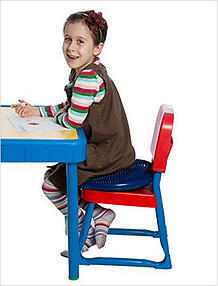 Seating: Try some alternative seating for your classroom or treatment area. Use floor seats, chair cushions or beanbags for reading, group, individual or floor work and allow kids the freedom to move about. Use alternative seating to meet the needs of your fidgety students or to provide a secure base for those with poor seating habits. Heavy Work: Heavy work goes along with movement but adds a level of resistance that some sensory seekers may crave. 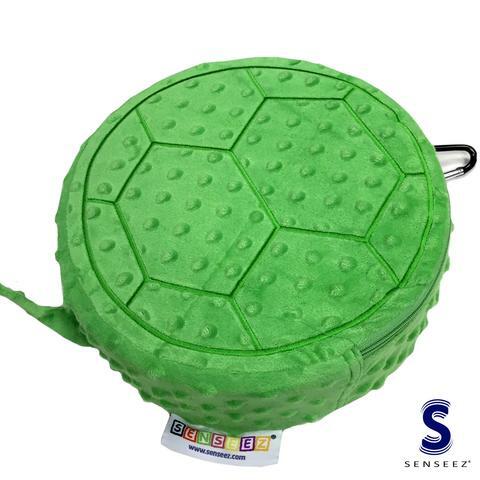 Try a mini trampoline, therapy ball, rocking board or cozy canoe in your room for times when your kids need heavy work. You can also keep some resistance bands available so kids can stretch in between or during therapies. Pressure and Weight: Using a weighted or compression vest, lap pad or weighted blanket can make all the difference in a child’s day. The added weight sends a most calming signal to the nervous system, relaxing the joint and skin proprioceptors. Weight can also be alerting to those with low tone or low affect. 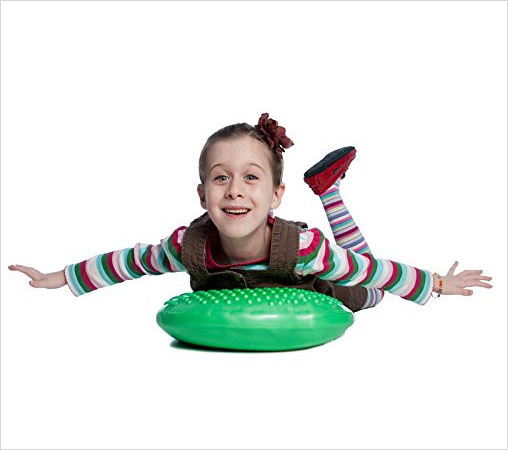 Try a weighted lap pad for kids who need a pick-me-up. Just keeping a few of these tools at your disposal can really impact the effect of your lessons, treatments or sessions. 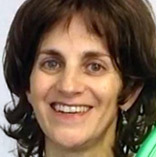 Ilana Danneman is a physical therapist working with children through seniors and a product developer and blogger at Fun and Function. With over 23 years of product experience she can almost always be found on a swing or writing about a new sensory toy!